According to Ancestry, Excie Wells Barbour’s relationship to me is “2nd great grand aunt.” In other words, her sister Mary was my great-great grandmother. 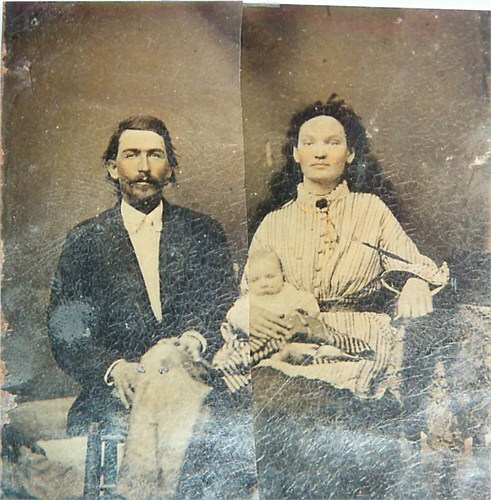 When I first saw the photo of Excie, James, and an infant, one thing stood out to me: her hair has kind of a “wild” look to it, possibly because it’s not tied back the way most women’s hair was in pictures then. Excie was born on Dec. 28, 1853 to Matthew Clay Wells and Mary Jane Shorter Wells. 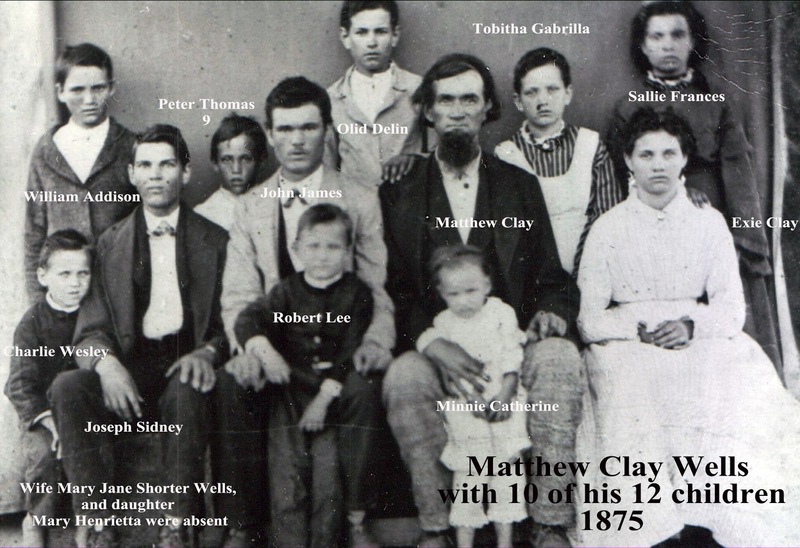 The 1860 Census lists Matthew as a farmer with the family living on the family farm in the Grady area. 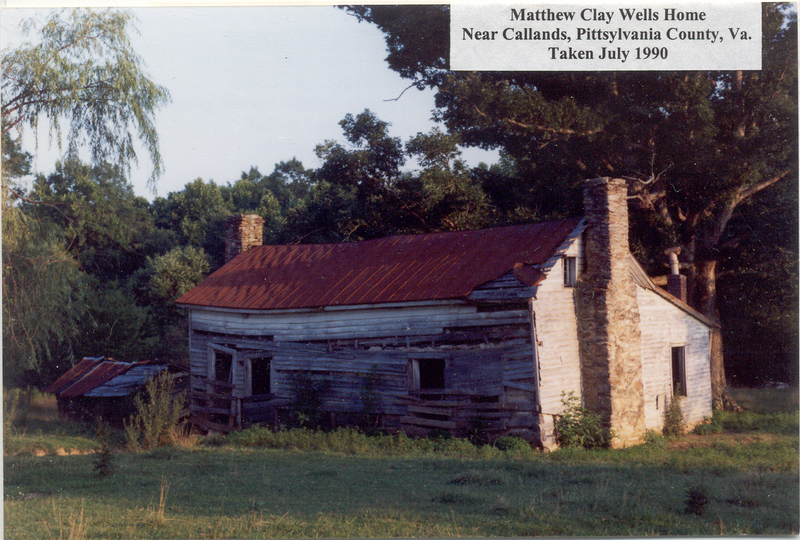 This image of the Wells house was taken in 1990, I wonder if it’s still standing at all. On December 27, 1871 Excie married James William Barbour, also of Pittsylvania County. James, a farmer, and Excie would have a total of ten recorded children between 1874 and 1892. 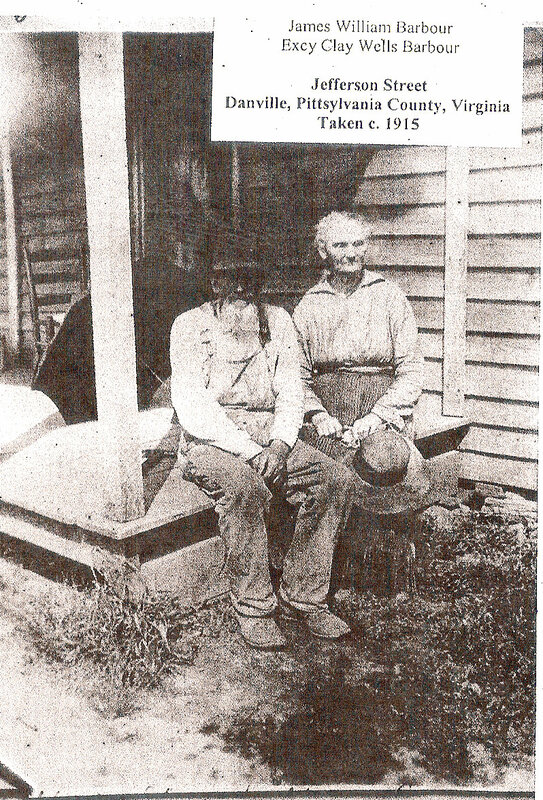 The picture to the left shows a much older Excie, in her early 60s, and James on a porch around 1915. I can’t find any evidence of the couple living anywhere other than Pittsylvania County, so I’m not sure under what circumstances the photo of the two of them on Jefferson Street was taken. What transpired during the years between the earlier photos and this one is largely up to speculation, at least to me. If they lived on a farm her days were probably spent helping out with the many chores and physically-demanding tasks related to a rural existence, in addition to taking care of her large family. In 1915 Excie also carried the emotional scars of outliving several of her children. John had died within two days of his birth in 1895. Their daughter, Mary Ellen, born in 1880, died in 1910. She had only been married to Josephus Reynolds for about five years. The second daughter to pass away before James and Excie was Ida Love, born in 1892 and who died in 1914. Excie’s daughter Mattie Grace, born in 1885, also married a Reynolds (James Fletcher). She died in 1919. 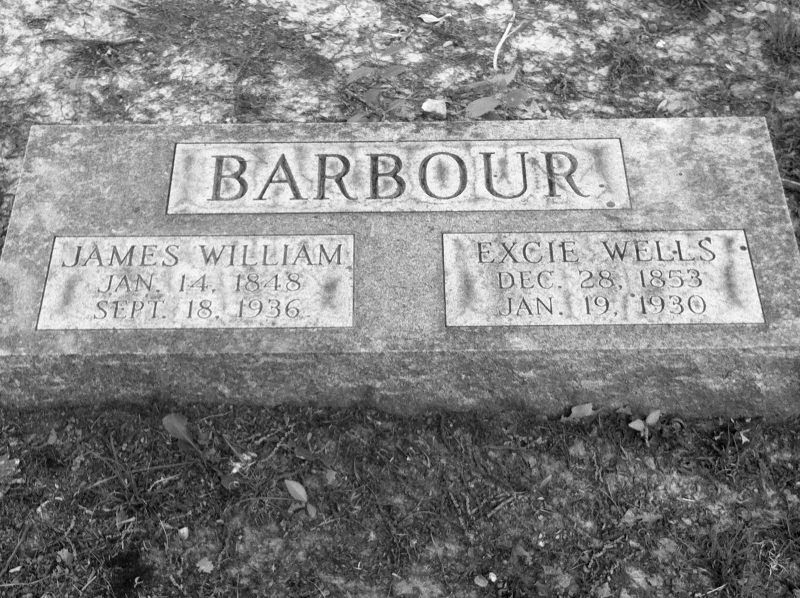 Excie and James are the only Barbours buried in the Stokesland Cemetery. I didn’t see any of their relatives among the graves that I photographed. Their marker is also a pretty good distance from the other markers in the cemetery, which is also referred to as the Voss Family Cemetery. I can’t explain why Excie and James were buried so close to the NC border, miles away from Callands and Grady. It would have been nice to have found an obituary for Excie, but I was unable to. Sometimes finding obituaries isn’t as simple as entering a person’s name into a database, which is one of the frustrating parts about genealogy research. *With the exception of the tombstone photo, the other images were found on a number of different sites. If you know who should be credited for these, please let me know.